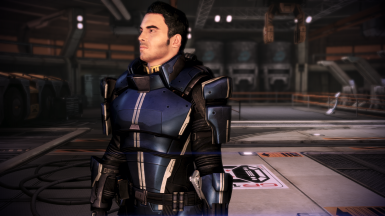 HR Squadmate Armor retextures:Ashley Williams Default Armor. 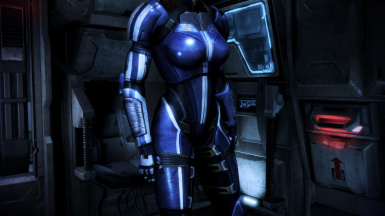 HR Squadmate Armor retextures:Liara Tsoni Alternate Armor.This is a 4096-4096 retexture of Liaras alternate squadmate armor. Diffuse, Specmap, Normalmap. 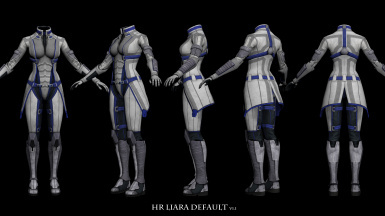 HR Squadmate Armor retextures:HR Liara T'soni Alternate From Ashes Armor (DLC).This is a 4096-4096 retexture of Liaras Alternate From Ashes Armor. Diffuse, Specmap, Normalmap. 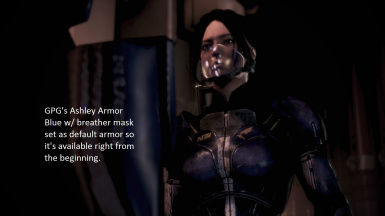 HR Squadmate Armor retextures:Ashley Williams Alternate Armor.This is a 4096-4096 retexture of Ashleys blue combat armor in three variations: Original, Grunge and Phoenix. 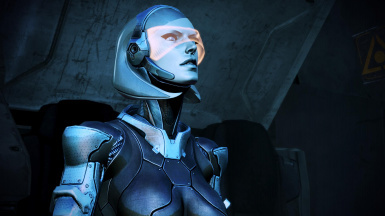 HR Squadmate Armor retextures:Liara Tsoni Collector's Edition Armor (DLC). 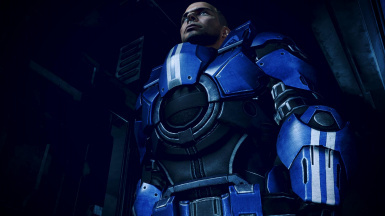 HR Squadmate Armor retextures:HR James Vega Alternate From Ashes Armor (DLC).This is a 4096-4096 retexture of Vegas Alternate From Ashes Armor offered in original blue and alternate black colour variations. Diffuse, Specmap, Normalmap. 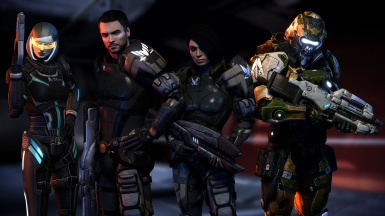 This takes the awesome high-res textures of Alliance versions of Cerberus armors made by Ottemis (Armax armors) and Chashan/Tarkov33 (Ajax) and packages it in a DLC bundle, no textures needed and the armors appear under Alliance names. 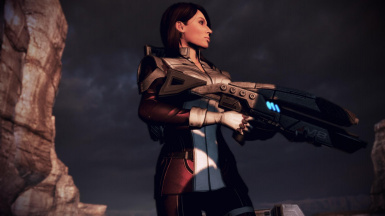 HR Squadmate Armor retextures:HR Ashley Williams Alternate From Ashes Armor (DLC).This is a 4096-4096 retexture of Ashleys Alternate From Ashes Armor. Diffuse, Specmap, Normalmap. 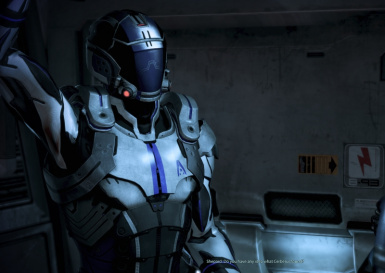 HR Squadmate Armor retextures:HR Ashley Williams Collector's Edition Red Armor retexture. 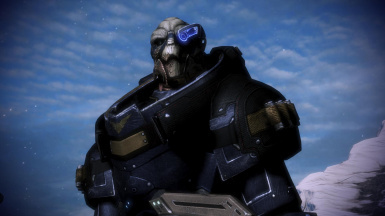 HR Squadmate Armor retextures:Garrus Vakarian Default Armor.This is a 4096-4096 retexture of Garrus default squadmate armor. 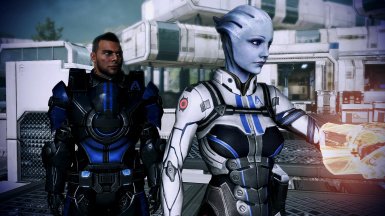 HR Squadmate Armor retextures:Liara Tsoni Default Armor. 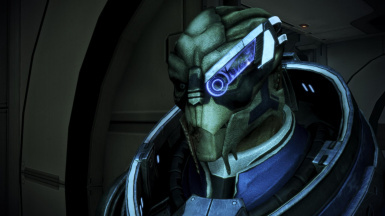 This is a HR retexture of Kaidans default outfit. 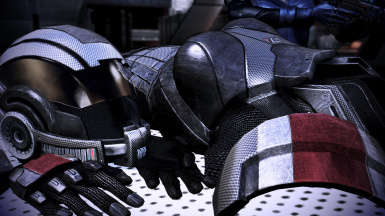 Includes helmet textures. 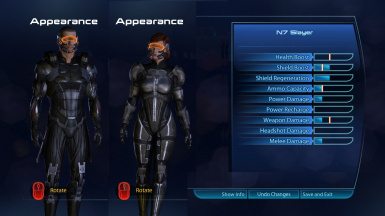 HR EDI Alternate Appearance Pack 1 Armor. 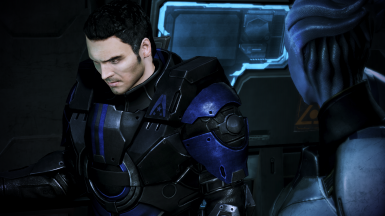 HR Squadmate Armor retextures:HR Kaidan Alenko Alternate From Ashes Armor (DLC).This is a 4096-4096 retexture of Kaidans Alternate From Ashes Armor offered in original black and alternate blue colour variations. Diffuse, Specmap, Normalmap.